During a conference for tourism representatives, the Karen State Chief Minister said the state government would spend 80million kyat to solve the insufficient drinking water problems facing Thandaung Gyi Township in Karen State. Thandaung Gyi Township representative, Saw Taw Palae, said the Chief Minister of the state responded to do a request made by local representatives of Thandaung Tourism Development group and tourism representatives to solve the chronic shortage of drinking water. “There is insufficient water supply in the Thandaung Gyi. It is not even adequate for local people let alone hotels. When the people proposed for more water, the Chief Minister said the state government will divert 80 million kyat towards this use,” Saw Taw Palae told Karen News. The State Minister, U Zaw Min spoke to Karen News. Thandaung Gyi Township is located on a mountain, surrounding by rocky hills where local residents rely on water pumps and long pipelines to collect water. Local people say the water collected from valleys and wells is insufficient to supply locals with water. 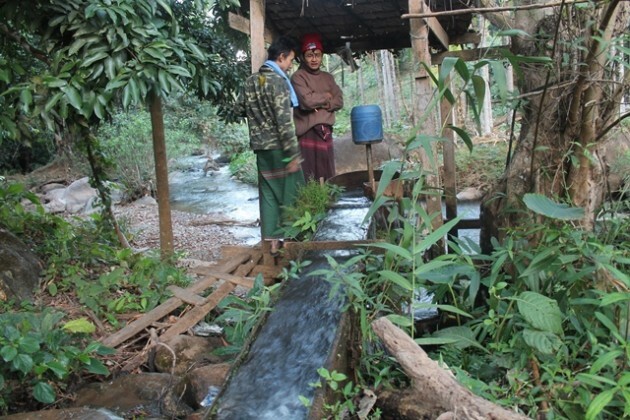 Section 2 resident, Saw Tapin Shwe Htee told Karen News that the state municipal department tried to get water from the dam, but the water pump was not functioning properly. Thandaung Gyi Township, is located in Northern Karen State and has been regarded as a good location for tourism as it is 4,000 feet above sea level and easily accessible from Nay Pyi Taw and Rangoon.